"AoS Fans Will Have Six Episodes of Yo-Yo to Slingshot them Through the Hiatus"
ABC Television and Marvel Studios will debut a six-part digital mini-series featuring Natalia Cordova-Buckley on December 13th, according to multiple media reports. Agents of S.H.I.E.L.D. : Slingshot will be shown during the mid-season hiatus for Marvel’s Agents of S.H.I.E.L.D. and feature Cordova-Buckley as the lead character, reprising her role as S.H.I.E.L.D. agent Elena ‘Yo-Yo’ Rodriguez from the series. 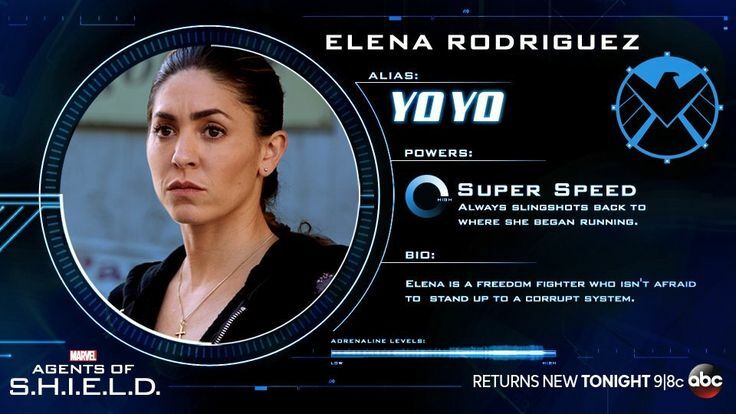 The character of Elena ‘Yo-Yo’ Rodriguez originated when Natalia Cordova-Buckley joined Marvel’s Agents of S.H.I.E.L.D. 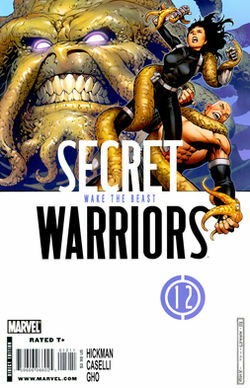 during the third season's Secret Warriors story line. Unlike some of the other characters featured, Rodriguez has continued on in the series as an occasionally featured member of the team. 'Yo-Yo' has even been teased as a romantic interest for character Alphonso "Mack" Mackenzie, played by series regular Henry Simmons. The 'Yo-Yo' Rodriguez character is based on Marvel comic book hero Slingshot, a Puerto-Rican S.H.I.E.L.D. operative and super-powered member of the Secret Warriors. This origin is slightly different from the Marvel Cinematic Universe version, who made her first appearance as a Colombian Inhuman freedom fighter during the Marvel's Agents of S.H.I.E.L.D. episode "Bouncing Back." Here is a synopsis of the new digital series from Marvel: “Marvel’s Agents of S.H.I.E.L.D. : Slingshot is set in the world of the hit television series Marvel’s Agents of S.H.I.E.L.D. Taking place shortly before the beginning of Season 4, this digital series features the character of Elena “Yo-Yo” Rodriguez (Natalia Cordova-Buckley), an Inhuman with the ability to move with super-speed. As a person with powers, she must sign the recently instituted Sokovia Accords, the worldwide agreement that regulates and tracks those with super powers. However, the restrictions of the Accords are in direct conflict with a personal mission she’s desperate to fulfill, a mission that will test her abilities, her allegiances, and will include some tense encounters with our most popular S.H.I.E.L.D. team members.” The announcement of the series came after the Agents of S.H.I.E.L.D. mid-season finale, and was also shared by Natalia Cordova-Buckley herself via social media. There will be six digital episodes in the series, three to six minutes in length, which will be featured exclusively on ABC.com beginning December 13th.